"Shri Manohar Parrikar is no more. A sincere, honest & sensitive political activist. Was simple and down to earth, I learnt a lot from Shri.Parrikar. As Raksha Mantri his contribution to making the armed forces a modernised, lean & mean fighting machine will remain unparalleled, tweeted Defence Minister Nirmala Sithraman. 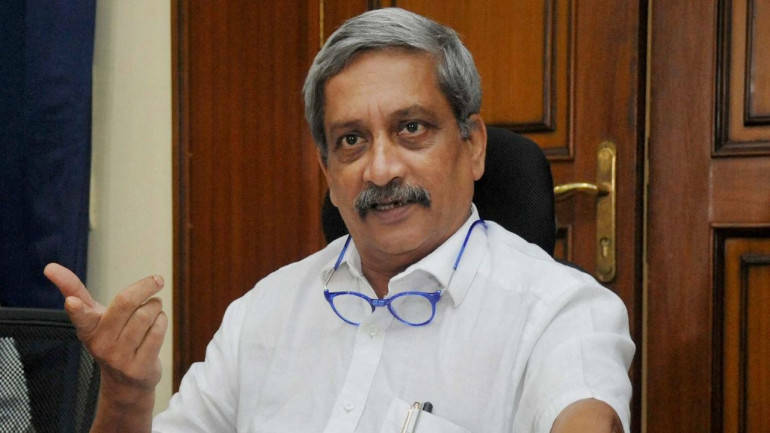 "I am deeply saddened by the news of the passing of Goa CM, Shri Manohar Parrikar Ji, who bravely battled a debilitating illness for over a year. Respected and admired across party lines, he was one of Goa's favourite sons. My condolences to his family in this time of grief," tweeted Congress President Rahul Gandhi. The first Bharatiya Janata Party leader to be Goa Chief Minister, Parrikar headed the state from 2000-05 and 2012-14, before joining the Narendra Modi government as Defence Minister from 2014. He returned to state politics in 2017 to lead a coalition government headed by the BJP and continued in office despite his protracted illness and amid criticism from the Opposition and civil society, which had repeatedly demanded his resignation on health grounds. A widower, Parrikar is survived by his two sons, Utpal and Abhijat, their wives and a grandson. No words to express your greatness Sir. Goan people were very fortunate to have a stalwart like you as their leader. Your contribution to Goa in particular and to India in general is immense. Your simplicity, intellect, integrity and patriotism is unmatched. You will be dearly missed by one and all. After all you were a rare gem in Indian politics. RIP Manohar ji. JAI HIND. A true karmayogi, epitome of simplicity, a staunch nationalist, a brilliant IITian, a man who worked till his last days, a man who thought only for the nation and for his state and the people, a man who modernised our armed forces, a man with “josh” till his last breath, left us today with his memories, with his good deeds and with a void which can never be filled! May your soul attain Sadgati! My heartfelt condolences to Late Shri Manohar Parikar. May his Soul Rest in Peace. JAI HIND JAI MAHARASHTRA. May his soul rest in peace.True leader & honest Politician.